A 12-time winner of this award! For the 12th time, home shoppers have determined that T.R. Hughes Homes should be at the top of the list when seeking a new home in St. Charles County. 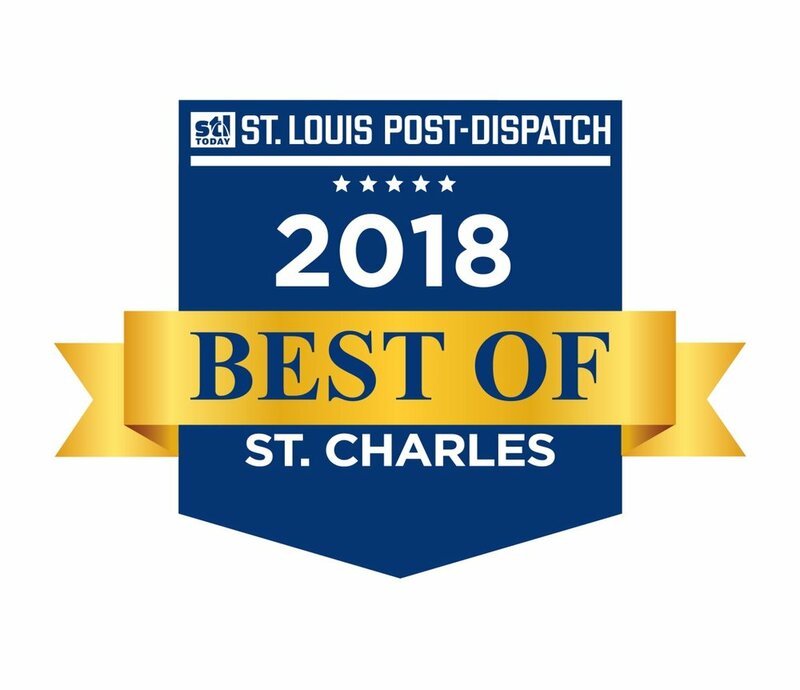 That, according to the St. Louis Suburban Journal Newspapers annual voting for “Best of St. Charles” in the Home Builder category. T.R. Hughes, a well-known and respected builder, has once again been named #1 in the most recent poll for 2018. Charlestowne Crossing, Style, Value, Location. This St. Charles Community has it all! Charlestowne Crossing offers our most popular T.R. Hughes home styles in a fantastic St. Charles location. This beautiful community has easy access to restaurants and shopping. Just minutes from 370 and 270. ALL HOMES COME WITH A 3-CAR GARAGE! Riverdale, in St. Paul, just minutes from I-70 on Hwy 79, offers homes from 1357 to 3056 square feet and are priced from the low $200s, in the Fort Zumwalt School District. The neighborhood is planned to include 53 acres of common ground, three lakes, a playground, picnic pavilion, horseshoe pits, and two parks. A good selection of Quick Move Homes are available, and with the special USDA financing program, you can buy here with no money down. Riverdale’s onsite information center is open Daily from 11:00 to 5:00, closed Thursday and Friday. Charlestowne Place is our newest community, now celebrating its Grand Opening with special savings! These beautiful homes start in the $240's and are located conveniently in St. Charles off New Town Boulevard. All homes come with a 3 car garage! LAKE LOTS AVAILABLE!